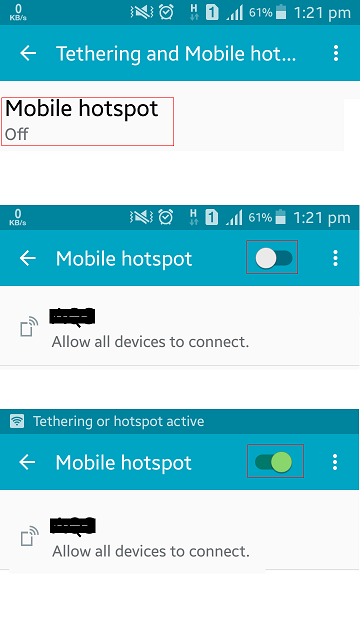 If you use your mobile as a hotspot a lot like me then you probably have come across this problem. And the problem is that after turning the hotspot off it still stays half green and you can't turn it back on again. It simply doesn't respond. So how can you solve this problem then? Solution 1: Just restart you phone and it will be normal again. Solution 2: For this one you don't need to restart you phone. Click on the gear icon just above the hotspot icon, as you can see in the picture above. 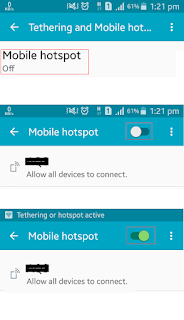 Then choose "Tethering and Mobile hotspot". Over here you might see the hotspot is off, just click on it. 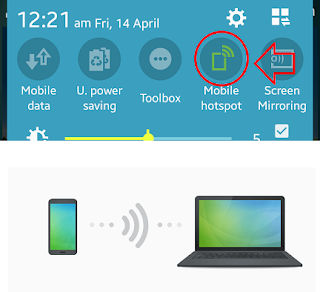 Now you will see a slide bar just next to "Mobile hotspot", just click on it to turn it on then might turn it off if you want to.